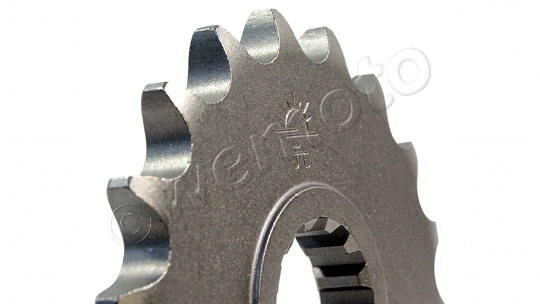 The picture below shows a Sprocket Front Plus 2 Teeth - JT (Check Chain Length). Thousands of other top quality spares listed on our website at refreshingly low prices. JT are the leading manufacturer of aftermarket motorcycle sprockets, with the largest and most advanced factory in the world. There's only one way to make a sprocket that meets the highest quality standards and thats hobbing, machining and drilling. This gives the closest tolerances and most accurate tooth profiles. By sourcing the best quality raw materials for their motorcycle sprockets, JT can ensure the best quality end product. All of JT's front sprockets are made with SCM420 high carbon steel which is fully heat treated. 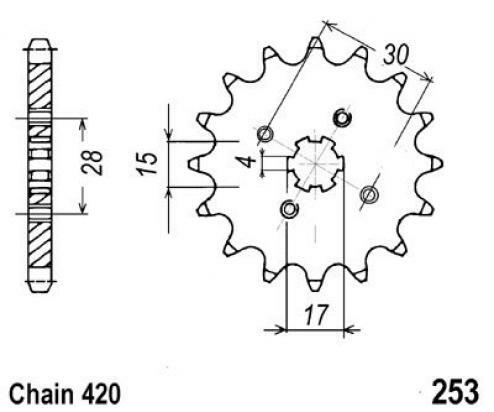 Other brands of sprocket may be surface hardened only, which means that once the protective surface is worn it exposes a softer metal underneath. JT front sprockets are hardened all the way through. Each JT sprocket goes through 10 individual quality control checks before leaving the factory to ensure that it meets or exceeds the highest quality standards for the motorcycle industry. And a good quality sprocket means less wear on the drive chain.